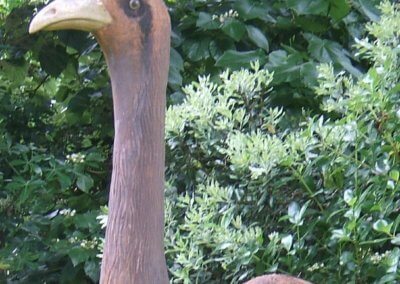 Dinornis giganteus (commonly known as the Giant Moa) was the largest of the eleven species of moa and the tallest bird that ever lived (growing to some 3 metres in height). Prior to human habitation, the moa dominated our largely forested kingdom from coastal bush to inland ranges and across grassy plains and alpine tussock. 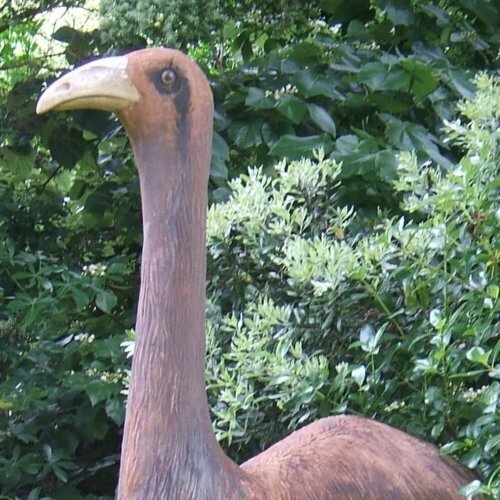 A full-scale representation of the Giant Moa created for this site by Mathew de Boer.